Iteris has improved its traffic signal cyclist detection system to improve control sequences to provide safer passage for cyclists through busy junctions. Traffic management specialist company, Iteris has made enhancements to its SmartCycle bicycle detection technology as part of continued efforts to provide accurate detection of bicycles at signal controlled junctions. The SmartCycle Bike Indicator is a mountable device that lets cyclists know that their presence has been detected by the signal controller. According to the most recent data from the US Department of Transportation’s National Highway Traffic Safety Administration, bicycle deaths reached a seven-year high in 2015, with a 13% increase on the previous year. 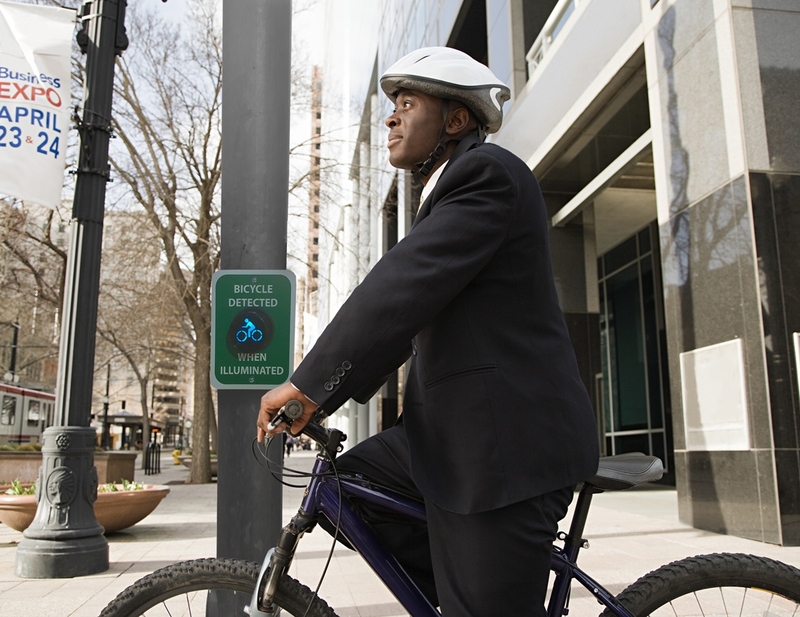 By indicating to cyclists that they have been detected, they will no longer have to risk dismounting in traffic to push a separate button, which in turn makes intersection timing more efficient. Cyclists can now have peace of mind and avoid potential safety hazards when waiting to cross a junction. Since its initial release in 2013, SmartCycle has been the first detection product to differentiate between bicycles and vehicles. By making this distinction and providing special outputs to the traffic controller, traffic engineers can alter signal timing to ensure that cyclists are given sufficient green signal time to safely cross an intersection. In February 2018, the SmartCycle Bike Indicator won the 2018 BIG Innovation Award from the Business Intelligence Group.